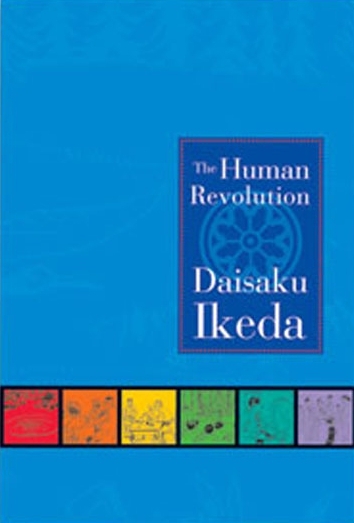 The New Human Revolution, chronicles the growth of the Soka Gakkai from the time Daisaku Ikeda became Soka Gakkai President in 1960. 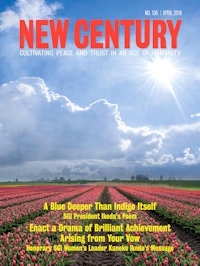 This is the story of Josei Toda's disciples as they strive to carry on his spirit to share the humanism of Nichiren Buddhism throughout the world. 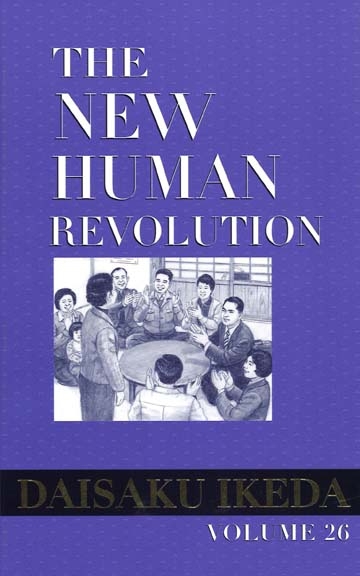 Much more than a novelized history, The New Human Revolution is also a pertinet textbook of how to practice Buddhism and build a movement for peace today. With this [above quote] as the heart of his message, the author wrote his twelve-volume account of Josei Toda's life and the phenomenal growth of the Soka Gakkai in postwar Japan. Published here in slightly abridged form, this work paints a fascinating and empowering story of the power of one person's inner determination. In Josei Toda's awakening and transformation, as well as his leading others to lives of genuine happiness, we find a model for a life of happiness for ourselves and for all humankind. 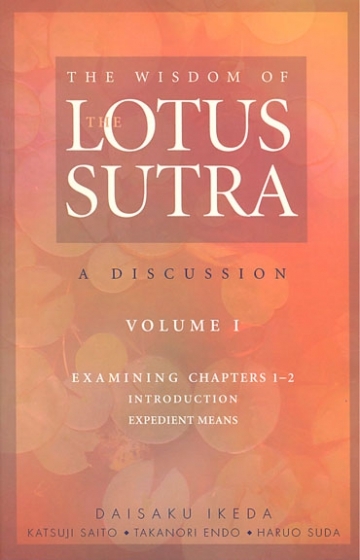 Now, in clear, down-to-earth terms, SGI President Ikeda and Soka Gakkai Study Department leaders Katsuji Saito, Takanori Endo and Haruo Suda explore the profound meaning of the Lotus Sutra's twenty-eight chapters. 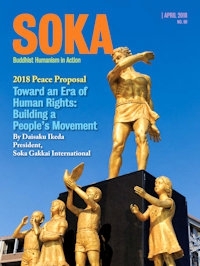 Basing themselves on Nichiren Daishonin's lectures on the Lotus Sutra, "The Record of Orally Transmitted Teachings," they explain the concepts that form the foundation of SGI members' Buddhist practice. Through their discussions, the ancient text of the Lotus Sutra comes alive, brimming with profound significance and practical advice for living in today's world. 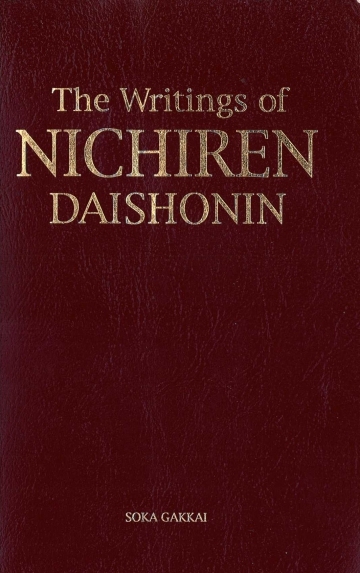 Nichiren Daishonin (1222-1282) wrote numerous letters, as well as doctrinal writings and official treatises, throughout his life, writings that overflow with a spirit imbued with great wisdom, courage and compassion. Even though they were written over 700 years ago in a cultural context and time period different from our own, the principles therein continue to pulse and resonate in the minds of the people across the world, offering wisdom and encouragement that is universal and timeless. The Record of Orally Transmitted Teachings contains Nichiren Daishonin's interpretation of key passages of each chapter of the Lotus Sutra. 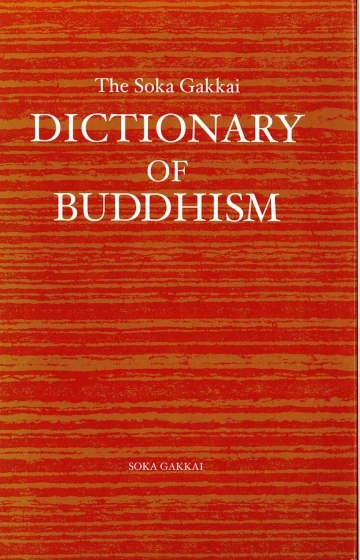 The Soka Gakkai Dictionary of Buddhism was Published in 2002 by the Soka Gakkai International. 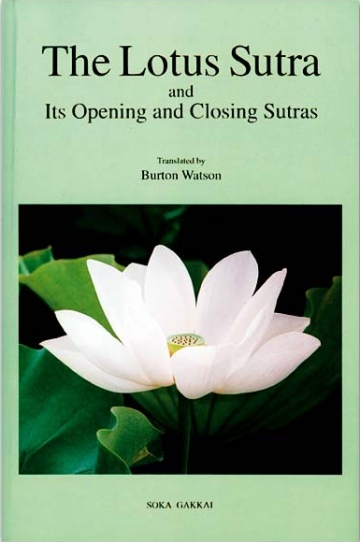 The Lotus Sutra is widely regarded as one of the most important and influential sutras, or scriptures, of Buddhism.